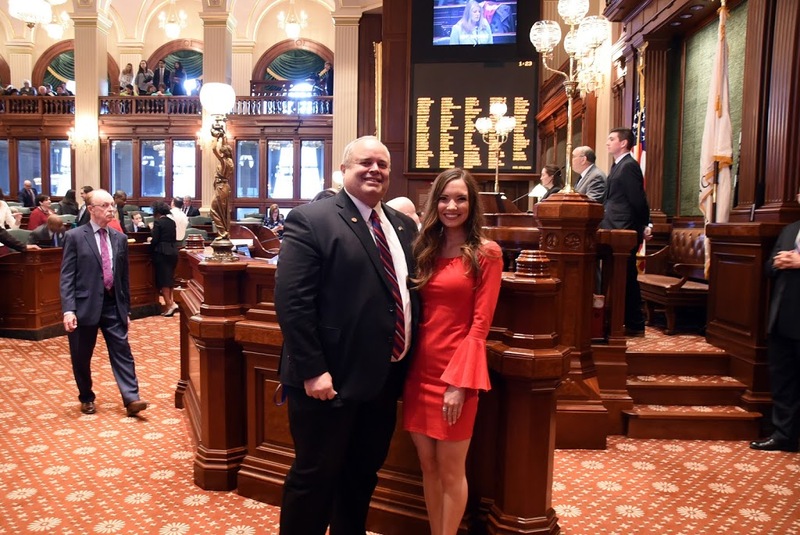 State Representative Dan Swanson hosted Cambridge resident Sierra Brown as an Honorary Page in the Illinois House during House Committee Deadline week on Tuesday, April 10th. Sierra is a Senior at Cambridge Junior/Senior High School where she is President of the Family Career and Community Leaders of America (FCLA) Chapter, FFA Historian, active in Leadership, Ethics & Values (LEV) and Fellowship of Christian Athletes (FAC), serves on the Student Council, Cheer, Student Mentor. Additionally, Sierra is in her church praise band, dance, pageant director and she created “A Hand to Hold” through her church for community service and volunteerism. At Cambridge High School, Sierra is on the High Honor Roll while taking dual-credit courses with the Western Illinois University Honors Program as well as the Black Hawk College Honors Program. Sierra was recognized as 2017 Miss Blackhawk Valley Outstanding Teen and is an intern with the Village of Cambridge.